What is the Swaayed Scheduler? Head over to your Swaayed Dashboard, and you'll notice a new "Content" tab, which is now the default tab. Inside, you'll see a box that reads, "Post Content". The box will expand, and you can write the content you want to share. Any URL's will be converted to bit.ly on the fly, and up to 4 images can be added to the post. At the top, you can select which social networks you'd like to post to. All social networks that you've added to Swaayed will be listed, but only the selected ones will be posted to.  Swaayed will remember your last selection, and will use that as the default for future selections. Go to your Settings -> Schedule to select the days and times that you want to share content. First, select the days of the week that you want to post on. Then select the time of day that you want to share. Any posts you've added to the Scheduler will be sent at those times each day. Q: How many posts can I add to the Scheduler? A: You can add an unlimited number of posts at this time. Q: Can I add multiple schedules? A: One 1 schedule at this time, but we're working on more. Q: Are their posts analytics? A: You can add a + after your bit.ly URL to get detailed click stats on your shared links. We'll soon implement our own shortener so we can show you those stats right inside Swaayed. Q: Does using the Scheduler help me make money? A: Yes. Every time you send a post with the scheduler, you earn experience points. Those points increase your Swaayed account level, which affects the % payout you make. We're also working on an auto-share feature which will let you automatically share campaign related posts without having to manually create each one. Q: Is there a visual calendar to manage the order of my scheduled posts? A: Yes, the default view is a list view where you can drag and drop posts into a different sending order. We're also working on a monthly calendar view, where you can see and manage posts at a higher level.